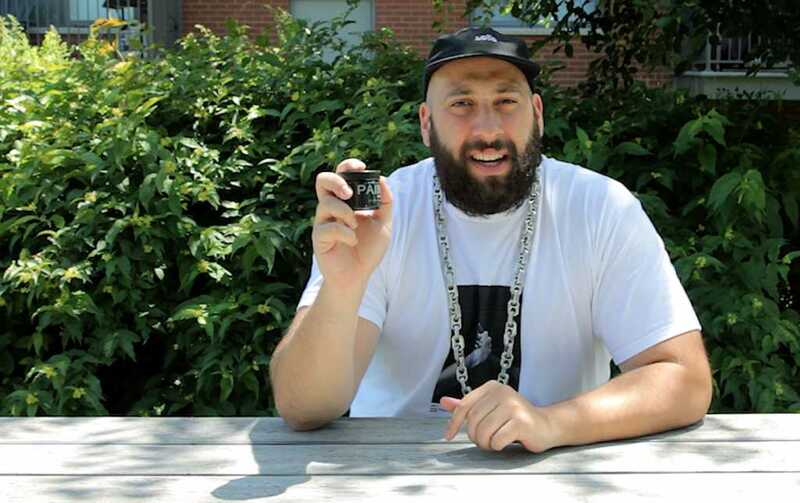 Tyler Lemco on his first experience with a cannabis salve. Hey there! If you’re like me, then life is constant pain and you live in agony. That’s why I tried out Earth Kisses Sky Pain and Inflammation cannabis cream. This cannabis salve is made with real cannabis sativa, and its supposed to alleviate pain and inflammation, which is basically my existence. At first glance, its got a nice ‘orangy’ tint to it, which kind of make it look appetizing. I don’t know if you should eat this stuff, it definitely looks delicious. It doesn’t really have a strong smell, but you can definitely tell that there is some cannabis in this. There is sativa cannabis, and tumeric and ginger and cayenne…this sounds delicious! But hold on, eating it is not what’s it’s for. This is for making your muscles and bones feel better. If you play sports, or you just have a bad body and your bones are bad, I highly recommend trying this. I’ve been playing a lot of sport recently, and my left elbow has been nagging me. So, I tried out this cannabis salve out to see if it does anything. I don’t know if this is too much cream, but as my doctor and WuTang always said, there is no such thing as too much C.R.E.A.M. It’s good for dry skin also I think. That’s another thing I learned; that you can always rub the rest of the cream on the rest of your body. After the initial application, I didn’t feel immediate relief. But I decided to wait about an hour and describe the sensations afterward. I recently took a charge in a basketball game and fell right back on my elbows, and its a lot of weight falling right onto that pointy part of my body. It’s been all swollen; its been in a lot of pain. I found this cannabis salve really did help, surprisingly. I came in with low expectations and I am pleasantly surprised. That’s because I don’t believe in anything medical, and now I’m a changed man. I’m convinced. Thank you Earth Kisses Sky, and thank you for this pain and inflammation cannabis salve. Can you get addicted to this stuff? I don’t think so. That’s another positive; you’re not going to be popping pain pills like you’re Brett Favre. Just rub some cannabis cream on you and feel all better. Go play all the sports. So what are you waiting for, cream up bros! 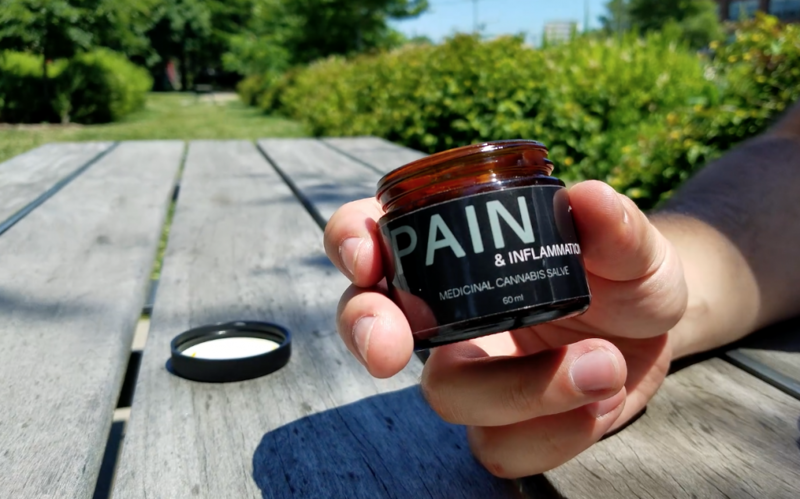 This great smelling cannabis herbal salve effectively helps manage pain and inflammation. It’s herbal ingredients have excellent analgesic, anti-inflammatory and antioxidant properties that are useful for joint and muscle pain. 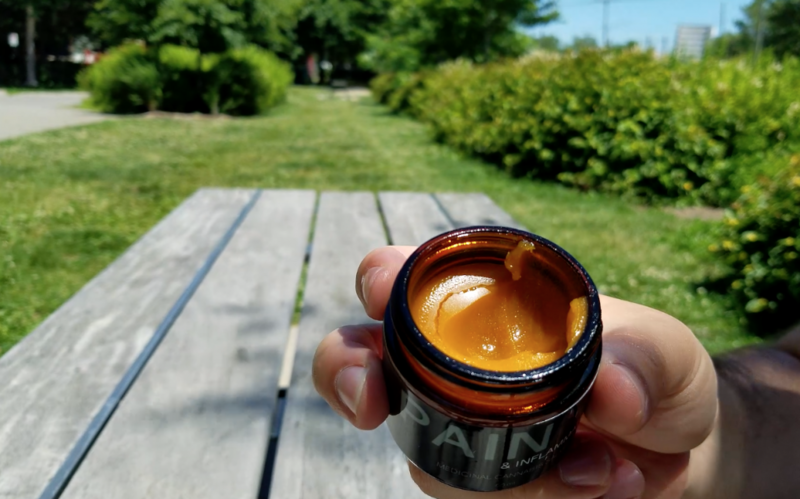 A cannabis salve can be great for treating pain in a specific area of the body. 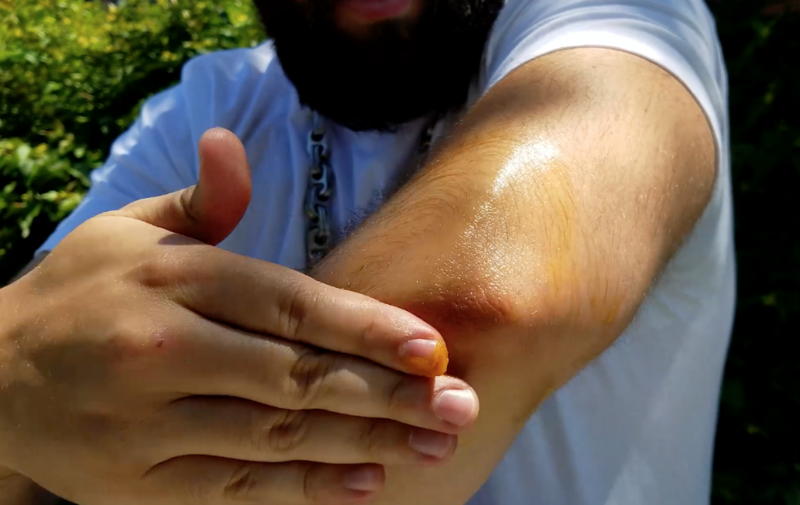 Did you know you could be applying cannabis topically for bug bites, scratches, and other skin abrasions? Cannabis salves and creams are ideal because they offer localized pain relief while reducing swelling. Want great looking skin for years to come? Then it’s time to consider incorporating cannabis into your beauty regimen. Applying cannabis-infused balms, oils, and lotions can do wonders for your skin. Symptoms of arthritis include swelling, pain, and inflammation in the joints. Because arthritic pain is primarily caused by inflammation, cannabis topicals are a potent remedy. A lot of the pain associated with burns is due to inflammation. Cannabis helps soothe inflammation while also reducing pain. Could a cannabis-infused massage oil be superior to any other type of massage product? The current science seems to suggest as much when you consider the therapeutic advantage of targeting those CB2 receptors in the skin, reducing any inflammation or pain. 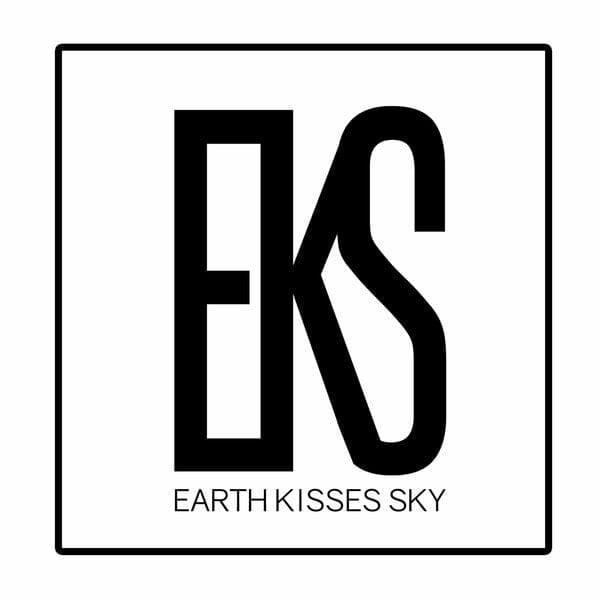 Earth Kisses Sky uses cannabis salves and creams in their massage processes, and patients notice an immediate difference. 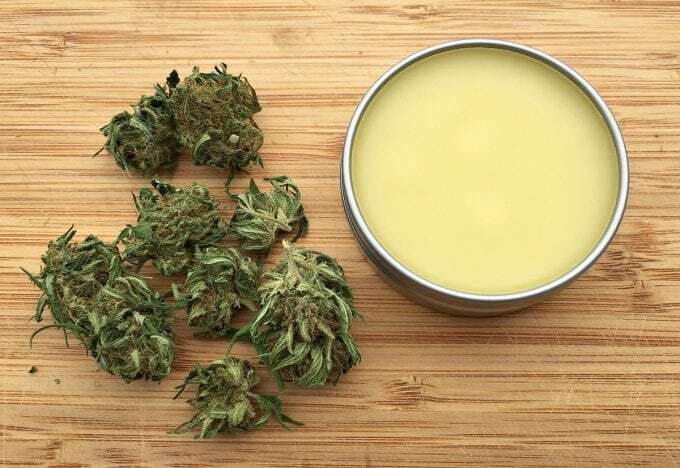 Using cannabis salves for massage can greatly increase sensations and overall pain management. The great thing about cannabis is its safe to experiment with at home. 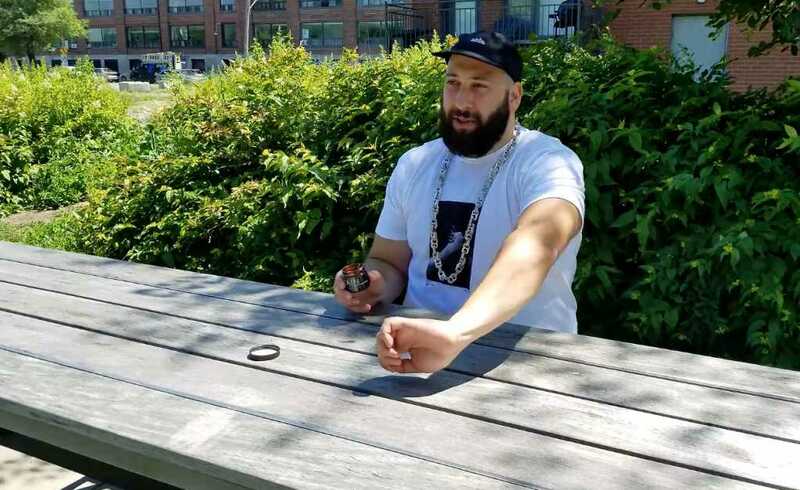 In fact, a cannabis salve is a quick and easy way to activate the benefits of cannabis without any of the harmful elements of smoke or vapor. Similar to a cannabis salve from Earth Kisses Sky, your at-home salve can be made with all natural ingredients, and be tailored to your specific ailments. The first step to any activated cannabis salve is decarboxylating the cannabis. Preheat your oven to 240 degrees Fahrenheit and cover a baking sheet in dried cannabis. Make sure the flowers are spread out and there is enough space for air to pass through. Once the oven is warmed up, “decarb” the cannabis for 20-30 minutes, or until it appears golden brown. A good practice is to get the coconut oil and olive oil heating up in the pan while the cannabis is ‘decarbing.’ This way, all the ingredients are ready for mixture once the desired level of color and consistency has been reached. Take your decarboxylated cannabis out of the oven and mix it slowly into the coconut and olive oil. It’s important to maintain a low heat with constant stirring for 20 to 25 minutes. IMPORTANT: If you do not keep the oil on a low heat, you risk scorching and burning the cannabis. With the burning of plant material, THC can be lost, thus decreasing the oil’s potency. After 25 minutes, remove from heat and pour the hot mixture through a cheesecloth and into a jar. Set aside to cool. Place in the refrigerator to solifiy overnight. All their creams and salves are made in-house and used in ranges of massage therapy. The creams and salves are full-spectrum, meaning they use the entire plant in the process.